Kaeser Kompressoren&apos;s new compact Hybritec dryers safely and reliably dry large volumes of compressed air to a pressure dew point of minus 40° C, do it efficiently and cut power costs while taking up relatively little space. When pressure dew points as low as minus 40° C are specified, Kaeser Kompressoren&apos;s new compact dryers combining refrigeration and desiccant drying technology in a single unit achieve this reliably and efficiently, even for high air volumes. Kaeser has extended the range of its Hybritec design, which had already been available for volumes of up to 20 m³, to cover capacities up to 67 m³/min. 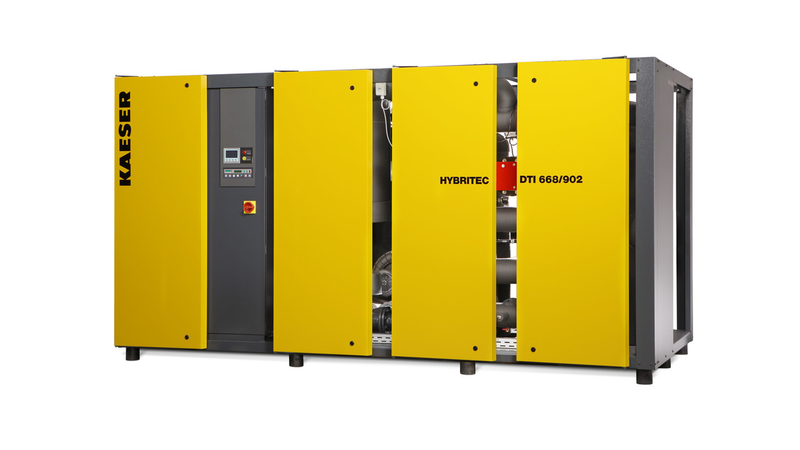 The new DTI to DTH series Hybritec dryers use up to 50% less energy than conventional desiccant dryers. The secret lies in the synergy of the two drying processes.